On February 15th 2016, we boarded a plane to The Philippines and embarked on our six month travel adventure round SE Asia. I've blogged about various aspects of our trip; a few before we left and more since returning in August. I started with a bit about our route and why we picked SE Asia, then a post about how to organise and prepare for a travel adventure. When we arrived back in the UK I wrote about how we managed our money whilst travelling and more recently about why taking an adult gap year or sabbatical is both possible and worthwhile. In between, there have been location guides, food tips and even some of our favourite Asian dishes recreated! Be sure to check out the travel tab above for all this and more. Eight countries, nineteen flights, seventy hotels and countless bus journeys later, I've compiled my top five travel experiences from our time in SE Asia. We initially didn't plan on visiting Indonesia at all - I'd been to Bali five years previously and in all honesty wasn't that blown away the first time round. But pretty much everyone we spoke to on our travels said we couldn't miss it out, and added it to our itinerary. We spent a few weeks seeing Bali, Lombok, Nusa Lembongan and the Gili Islands, before deciding to spend a week right at the end of our trip on Java. The two adventures we knew we wanted to make time for were trekking Mount Ijen and then Mount Bromo on our way up to Yogyakarta and then Jakarta before flying home (via Bangkok). 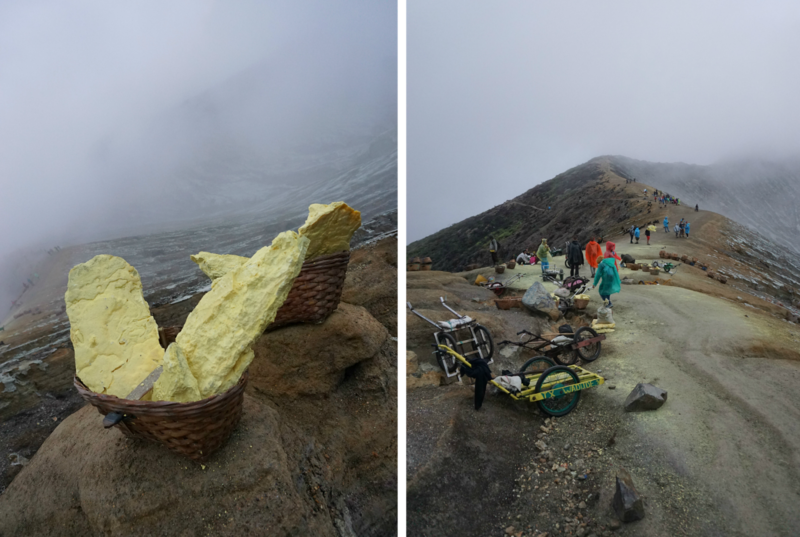 Mount Ijen is a volcano containing a huge (one kilometre wide) crater lake - supposedly the largest acidic crater lake in the world. In short, the trek involved a 1am wake up call and ride to the foot of the mountain. We then commenced our trek up - hugely steep and in the dark, it's not for the easily defeated! Once we arrived at the crater rim we donned our gas masks (to protect from the sulphur fumes) and our guide climbed with us down inside the crater - which itself was pretty treacherous - towards the blue sulphur flames. Apparently you can only see flames like this in a couple of places in the world, which might explain the number of tourists sharing our journey with us! 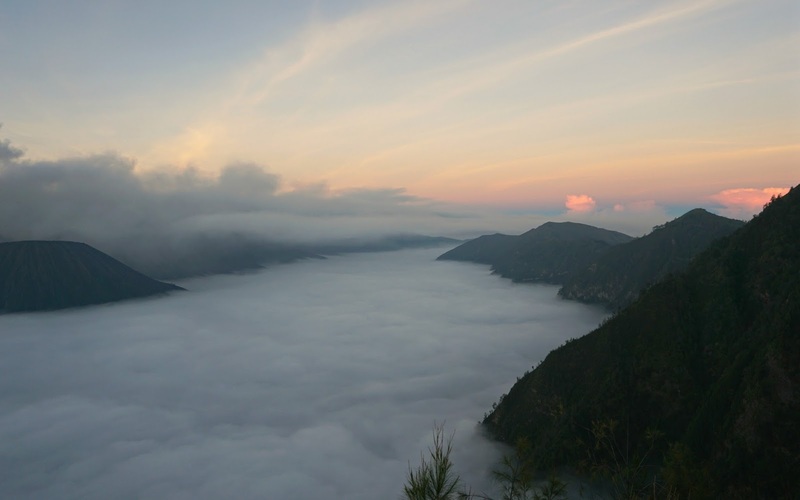 We then trekked back up to the crater rim and watch the sun rising, clearing over the turquoise blue lake. A really amazing experience! Mount Bromo was a similar experience, but this time we decided to trek a mounting facing Bromo so we could see it in all it's glory. We started a couple of hours before sunrise (which felt like a lie-in after Ijen!) and again braced ourselves for the dark trek. It was definitely the coldest we'd been during our six month trip so bought woolly hats from locals in the nearby town and dressed in as many layers as we could manage! Once we made up our way up to the viewpoint, we drank hot chocolates to keep warm and watched the mist clear over Mount Bromo and surrounding peaks. The sunrise was just spectacular, and it again felt like one of those trip-defining moments. 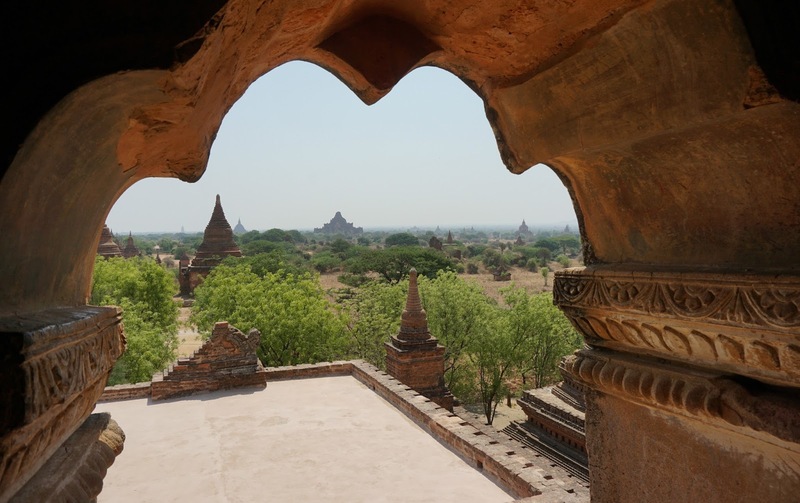 Myanmar was always on our 'must-visit' list after it reopened again for tourism a few years ago, and having seen images of the temples of Bagan we knew we were in for something quite special. There are quite literally thousands of temples in Old Bagan today, some dating back to the 11th century. Many have been damaged in various earthquakes over the years, with a huge earthquake in 1975 and then another major earthquake in August 2016 soon after we left. We were lucky enough to be able to enter many of the temples, and in some cases climb to the top and see the incredible view of stupa after stupa. 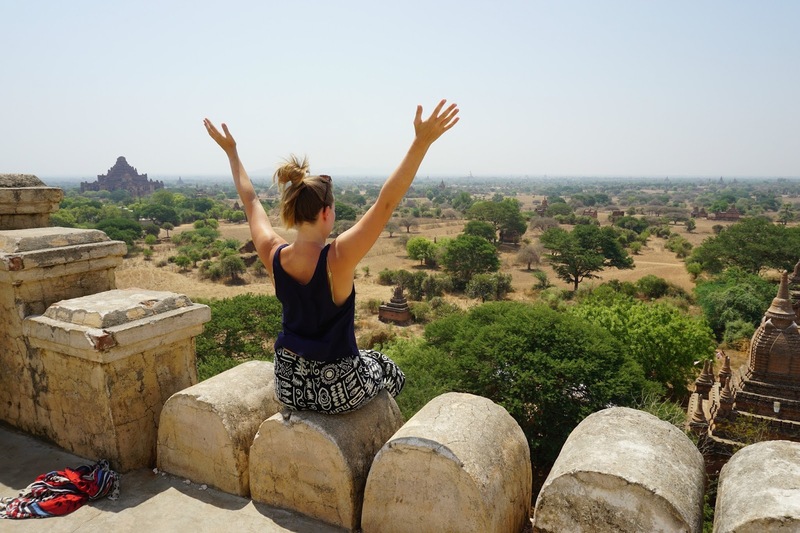 Visiting at sunrise and sunset are again some of the best times, not just because of the view but also because the days get so hot in Bagan, the heat can be unbearable in the afternoon. You have to remove shoes to enter most temples, which again makes exploring difficult in the heat. Our favourites included The Shwesandaw Pagoda (which you can see me sitting on above) and Lawkaoushaung. At the latter you can find the key holders living just behind the temple - the little girl opened it for us and we were able to climb it in complete peace! Amazing views from the top, and beautiful architecture. Another day, another temple. 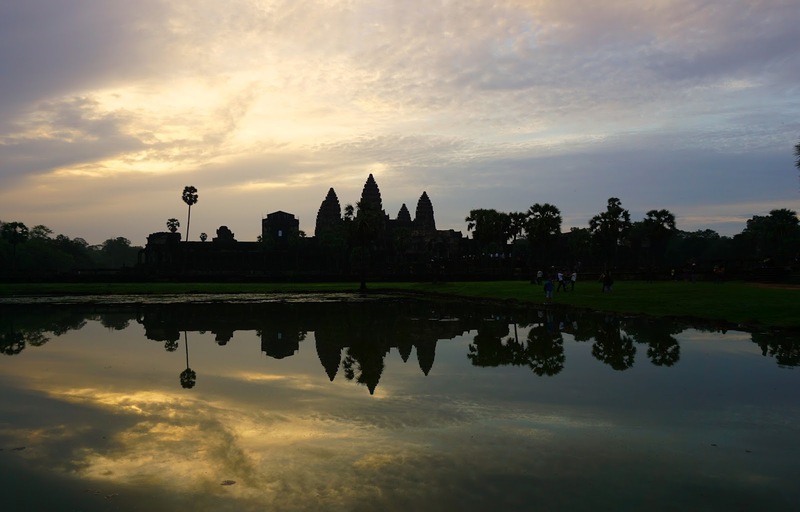 This time, the gem in Cambodia's crown; the Temples of Angkor. The heart of the Khmer Empire and dating back to the 9th century, now a UNESCO World Heritage Site it was once the largest pre-industrial city in the world. We spent five days in Siem Reap itself, taking two days out to visit the temples a short drive from the fairly Westernised city. We had seen a lot of temples by this point - the temples of Chiang Mai, Bagan and Mandalay were all well trodden by us - and we were worried we were 'templed-out'. Yes, it is a thing. That said, the minute we arrived at the first temple on our adventure - Banteay Srei and then Ta Som - we knew nothing quite compares to Angkor. We left the pièce de résistance to the last day; Angkor Wat at sunrise. Yes, there are tourists everywhere, but it really is quite stunning. Be sure to get a guide who can drive you to some of the lesser visited temples, as well as other interesting spots such as the Landmine Museum. 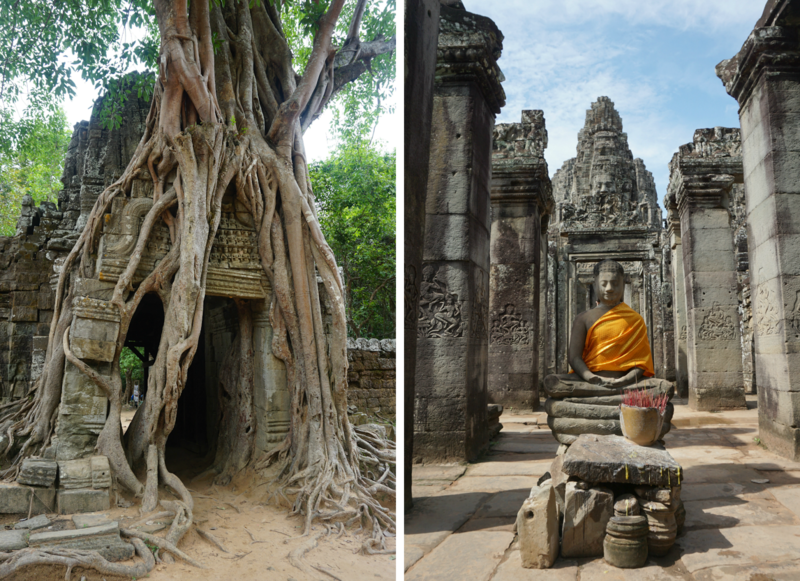 Our favourites included Ta Som, Preah Khan, Ta Prohm (made famous by Angelina Jolie in Tomb Raider) and Bayon. I'd recommend buying a three day pass as one day definitely isn't enough time to see Angkor in all it's imperfect glory. This was one of those experiences we read about in the Lonely Planet guide and just thought 'that sounds cool'. Ya know. We enjoy walking - usually when there's a pub at the end, granted - and thought this would be an excellent way of seeing the 'real' Myanmar. Yes, lots of tourists now do these treks, but it still felt fairly authentic as an experience. 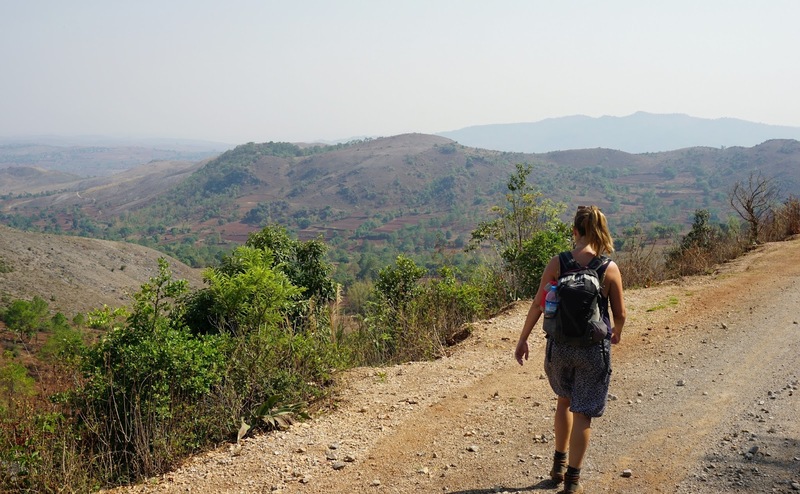 We trekked the stretch from Kalaw to Inle Lake; a total of around sixty kilometres over three days. We were in a group of twelve, with people from France, Germany and Holland joining us to trek the well trodden route. The group really made the trip - a really great bunch with interesting conversations, lots of laughs and a friendly atmosphere. 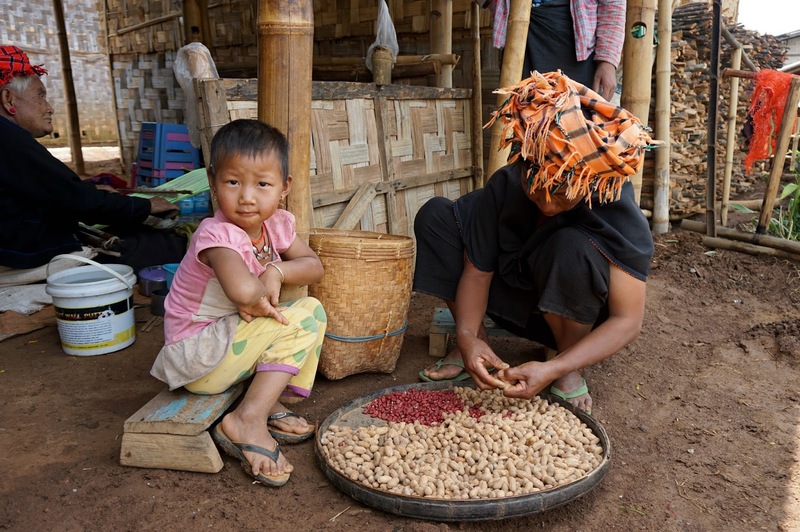 We trekked around 20km a day, stopping in local hill tribe homes each night to rest. We slept on blankets on the ground and were cooked for by the villagers; it was such a unique experience. Our guide, July, was super knowledgeable and informative giving us talks on nature, Buddhism and local customs along the way. She even bandaged my knee for me and applied Tiger balm after I twisted it (on day one, bad times). It wasn't an easy trek, for me at least! It was long and hilly, and I really struggled in places. I lost both my big toenails in the process, but still would class it as one of the most memorable (!) experiences during our trip. A total must-do! I think it's important to point out that our entire six months wasn't action packed - we spent a good couple of months right at the start of our trip largely chilling around pools and on beaches, relaxing! And our journey started in The Philippines; somewhere we had heard great things about and eagerly Pinned in the lead up to our trip. We saw these incredible pictures of crystal clear blue waters stretching for miles and we genuinely thought they must have been enhanced... a little at least. That was, until we arrived in El Nido. 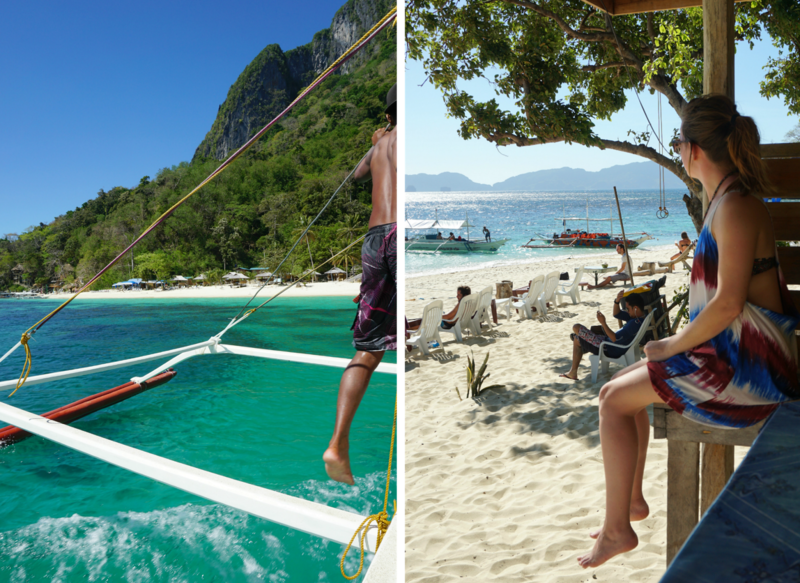 At the tip of the island of Palawan, it's famed for the white sands, coral reefs and turquoise waters. 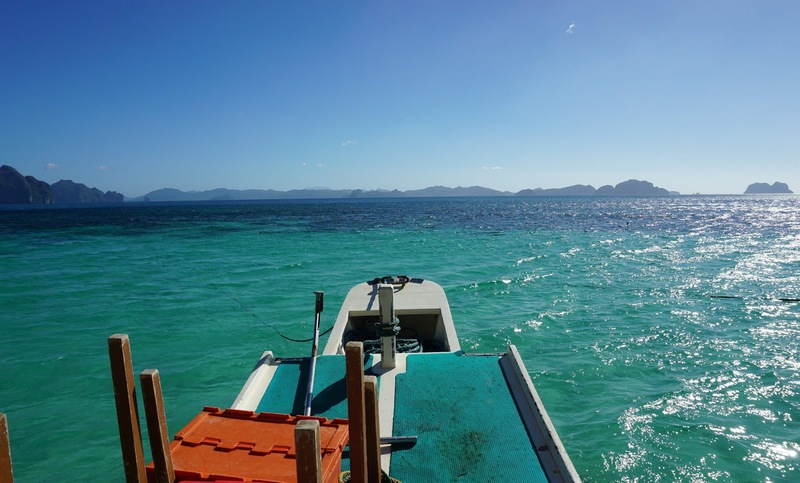 And even after seeing all those beautiful pictures, we still weren't prepared for the beauty of Filipino seas! Day 1 in El Nido saw us hopping on to a boat and jetting out into the bright blue waters for a day of sea, sand and swimming with the fishes. For under twenty British pounds each, we had the most picture perfect day. And aside from the sunburn - I kept that dodgy tan line on my back for the whole six months! - it was utter bliss. We started by sailing to small lagoon and jumping down in to kayaks to explore the lagoon in more detail. Then came secret lagoon, followed by freshly caught tuna and mussels barbecued on the beach (total highlight - this was incredible) before finishing with beers on seven commando beach. Heaven!